If you are an athlete (even if you aren’t) looking for peak performance, which body part do you think gets the least attention? How Important Are The Gluteus Maximus And Hamstring Muscles? Are leg curl machines actually beneficial? 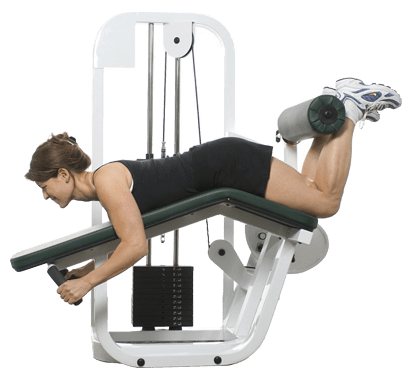 How to work leg curl machines? What muscles do the leg curls work? There is a lot to the fact that the lower body doesn’t get the love it deserves to. There are memes about it – never skip leg day. But it rings more true than funny. Far from just looking good, athletic legs are mandatory in several disciplines of sport and in life as well. Popular culture has accentuated tree trunk arms, separated chests, and ripped backs. But hardly anyone has been talking about brawny legs. Unless you have a gym circle then you’ll get complemented on your ripped calves and quads. The glutes and hams form a major part of the lower body and this is required for lateral, horizontal and vertical movements. Even if you don’t compete at sports regularly this is something that you cannot afford to overlook. Let’s take a simple horizontal form of movement – running. Most people assume that power is generated by the feet when pushing off the ground. While this is correct, this is not the entire story. The hip, gluteal and hamstring muscles generate considerable force that propels a large part of the leg. I know this is surprising to you (me as well!). I was always under the impression that quads and calves are the muscles that are majorly responsible for forward motion. So how do we strengthen all these muscles? The leg curl machine is a pretty compact piece of equipment which you can use to tone your legs. Usually leg curl machines also have the ability to act as leg extension machines as well. 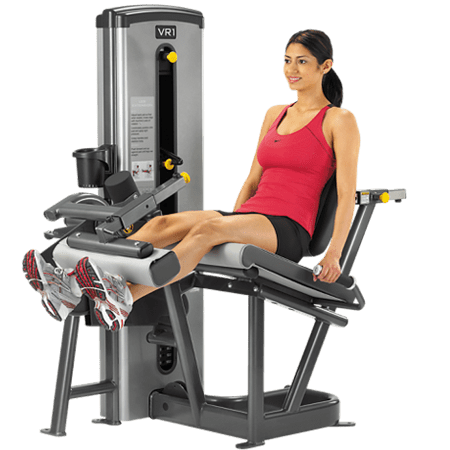 These leg curl machines come is several variations, some of them have seats while the other require you to be in a prone position. A leg curl machine can give you a lot of leg exercising focus in a reasonably small form factor. A lot of people have wondered about the effectiveness of leg curls. Questions like “are leg curls fact or fiction?” regularly pop up on more than a few bodybuilding forums. Several fitness enthusiasts and body builders endorse leg curls for its ability to focus on the hamstrings and increase muscle mass. So, let’s go ahead and look at the top brands that are out now. Definitely at the top of several reviews and we agree, Marcy Utility Bench is a definite solid option. 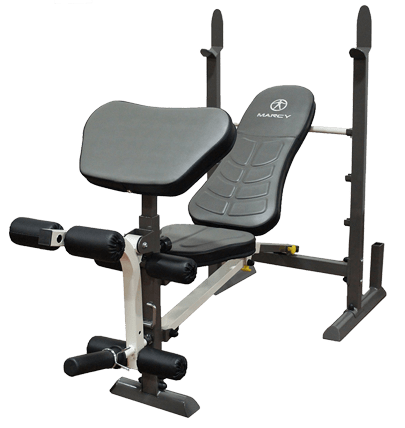 This is a seated leg curl machine and has a back pad that is adjustable 6 ways. The leg developer has dual position adjustability. Can use Olympic sized weights. It has a maximum weight capacity of 300 pounds and it comes with a transport handle and wheels. The foam roller paddings that come with the product are anti-microbial and can be cleaned easily. It looks and feels great for exercising. The complaint among many fitness enthusiasts is that it isn’t very steady and sometimes does wobble about during heavy exercise. In a word, yes. But let’s delve further. Leg curl machines work your legs through movements that you are not exposed to with other kinds of machines. Despite this, there are a lot of people in the opposing camp who think that just compound exercise like squats and deadlifts can improve your glutes and hamstring. They are not wrong, it’s just that curls offer you a significantly superior mode of muscle development in your legs. To illustrate my point, let’s take the example of your bicep. When you compare the hams and biceps, they have more in common than you think. More on that later though. For now – let’s look at how specialized machines can have a much more profound effect on specific muscles rather than compound exercises. To develop your biceps, you’d turn to curls. Why? Because even though compound exercises like overhead presses, pushups and lifts can improve your musculature, if you truly want to develop the peak of your bicep, then you need to curl. Leg curl machines when properly used can bring about changes in your hamstring and your glute profiles. This is proven fact. Another interesting fact is that the largest muscle activated by this machine is the bicep femoris. So, the example above has a lot more parallel to it. The leg curl movement is pretty easy to accomplish and has very little risk. Here are the basic steps to get a good workout using the machine. Use the seat on the machine, make adjustments to the back and leg rest until you are at a comfortable distance from it. You should be able to work through the full range of motion without hindrance. Now position your knees such that they align with the pivot point/angle of the curl machine. Next, get a firm hold on the hand grips and use your upper body to keep yourself taut. Now you need to draw your calves toward your body making sure that you keep it smooth and easy till you loosen yourself up a bit. Take care to not let the weight drop but rather bring it to a smooth stop while you still have your legs tensed. Repeat as needed. This is the foremost priority with most machines. Checking how much weight can be loaded on to the machine can give you an idea of how it matches your capability. Another choice when it comes to leg curl machines is the choice to sit or lie prone while curling. Both variations offer an equally effective workout and here it’s more a question of how much space you’re okay giving up for the leg curl machine. Does it give you enough options to adjust it to your physical proportions? This is the most difficult to figure out especially if you are ordering it from an online e-tailer. The leg curl machine gives your whole leg a grueling workout but it focuses more on the hamstring and the calf muscles. The motion of you bending your knee activates the muscles at the back of the thigh called hamstring. The action is similar to the bicep muscles on the arm – the major muscle is named bicep femoris. Your calf muscles help with curls and extension movements. They enable your hamstrings to pull the lower part of the leg in as well as push it out during extensions. Thought there are accepted norms about how to accomplish leg curl exercises, these guidelines will help you protect yourself and get more out of your leg press machines. If there’s something that I always tell people who are starting out on the leg curl machine is that never to force the weight up at the start of the rep. When you are bringing your legs towards your body, make sure that you pull in your toes towards your body. When you do this, you take your calves out of the equation and force the hamstrings to work that much harder. The way you position your toes can decide which part of the hamstring is targeted. If you turn your toes in while flexing, the inner portion of the hamstring is worked. Likewise, when you turn toes outward, the outer part is exerted. Another variation of the leg curl is the Gironda variant. What you do is execute a normal prone leg curl motion, but lift your upper body off the machine. This forces your hamstrings to work even harder. Most people call this a concentration curl for the legs. If you really want to spice up your leg curl routine, forget those scented candles for now and read these variations on regular exercises. They have their hamstring component tweaked so they are sure to give your legs a good burn. A popular deadlift variation formulated by the 86’ Olympian, John Parrillo. Parrillo deadlifts, as opposed to stiff-legged deadlifts, can stretch your hamstrings and calves. When you perform the Parrillo version, you need to learn to pivot at the hips and not at the waist. You also need to remember to keep your lower back arched at all times. This shows how you can activate your hamstrings with the leg press motion. Parrillo called it the 45-degree hamstring leg press. On a leg press machine with a 45-degree platform, place your feet on them such that only your heels are touching it. Using a wide stance, make sure you push deep with the weights you normally use with leg presses. This action will make sure that your hamstring is stimulated and initiates the burn. We find here that stiff-legged deadlifts are a great alternative to leg curls. So, if you only have access to a power cage and not a leg curl machine, feel free to deadlift instead. As you can see, the leg curl machines are definitely something that needs to added to a fitness enthusiast’s roster. I hope I’ve been able to dispel some of the doubts about its effectiveness as far as leg workouts are concerned. 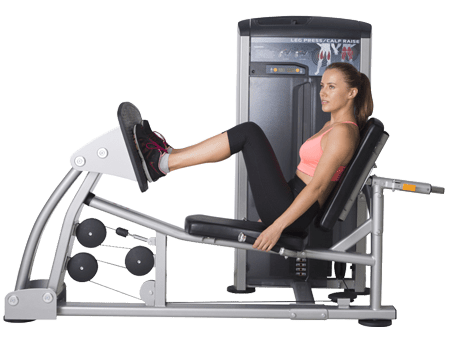 Also, try not to worry too much about the different variants of leg curl machines out there – both sitting and prone are absolutely safe and they both work the hamstring and glutes equally well. If you are getting a machine for your home, remember that you don’t need to splurge on commercial grade machines when it comes to leg curls. You can find competent leg curl machines at a better price point. So, get out there all you fitness enthusiasts and always remember – never skip leg day!